6mm x 6mm Green Turquoise opaque Kheops Par Puca Czech glass beads. 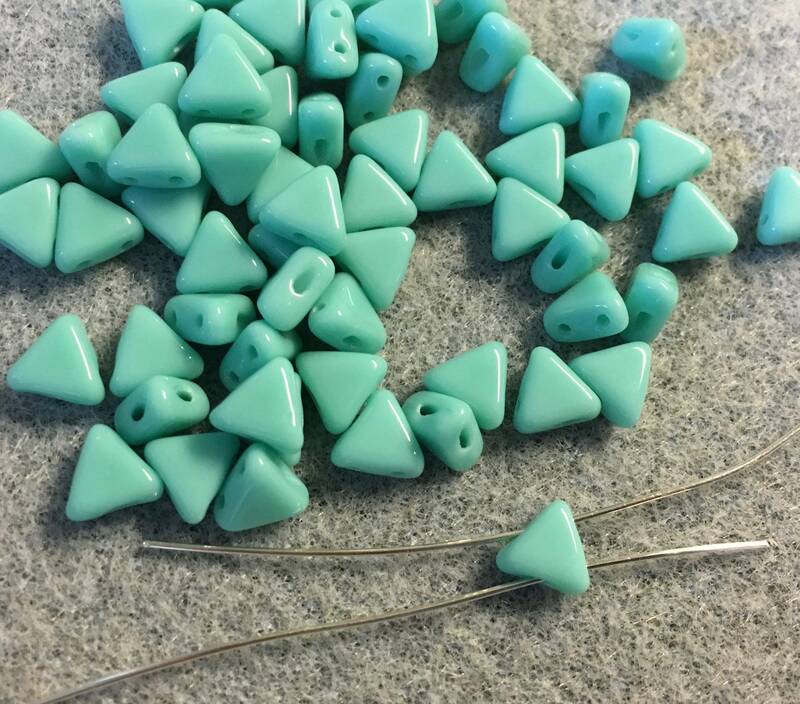 These are triangular shaped beads with two holes going perpendicular through the bead. Great design possibilities with bead woven jewelry The size is 6mm x 6mm and they are 3mm thick. These beads were designed by French designer, Annick Puca. Add some Parisian elegance to your creations with this innovative new bead! Until recently, Puca has been known for her bangles and necklaces. But, unable to find the right beads to embellish her newest creations, she has designed her own! The name of the bead, "Kheops" (named after Kheops, who commissioned the Great Pyramid of Giza) aptly describes the shape of the bead. You will receive one 9 gram tube. Estimate of 50 to 60 beads, varies depending upon the finish.